In the winter of 1993 myself and two fishing friends from the Scottish Borders, Charles Waldie and Keith Orr, decided to bring to fruition our thoughts of an annual wild trout fishing trip to the islands off Scotland’s west coast. So it was that in May 1994 we sailed to Mull for what was a most enjoyable and rewarding maiden trip taking in the Mishnish Lochs, Loch Frisa and Loch Assapol. After our 1994 trip we made plans to visit Islay in 1995 and each year thereafter a different island. We did indeed sail to Islay in the May of that year and as I write in 2019 we have been unable to stray beyond this captivating place with the exception of adhoc hops over to Jura during the subsequent years. In 1996 our team became four with the arrival of Jimmy Campbell to the fold. In the early years we based ourselves at Ballygrant kennels on the beautiful shores of Loch Ballygrant within the Dunlossit Estate. Our wonderful hosts there were Dougie and Elizabeth Barr who have since moved to the mainland at Inverary. These were halcyon days and those years from 1995 to 2000 we enjoyed frequent days afloat on Loch Ballygrant and barbecues in the lovely boathouse. We caught many fish in excess of 1lb with an all-time best approaching 3lb. The fish always seemed to favour our traditional wet flies such as Kate Mclaren, Pearly Invicta, Green Peter and JJ Olives. My "Flies" page gives a full list of our favourites with pictures. Most of our fishing on Islay over the years has been on floating lines with rods of lengths between 9ft and 10ft and line sizes 6#. As well as Loch Ballygrant establishing itself as a favourite others too were added to the list including Finlaggan, Skerrols, Nan Cadhan, Drolsay, Ardnahoe and of course the jewel of Islay’s waters, Loch Gorm. In later years we were to add the southern waters run by our friends in Port Ellen Angling Club and fantastic days too have been had walking around Kinnabus, Upper and Lower Glenastle, Loch Nan Gillean (Gillie Loch) and Loch Ard Achadh (School Loch). More challenging visits have also been made to Loch Leathan an Sgorra, Loch Giur-bheinn, Loch Smigeadail, Loch Mhurchaidh and across the Sound of Islay to Jura and the Loch a’ Bhaile-Mhargaidh (Market Loch). On my “Lochs” page you can see all the lochs (with pictures) we have fished together with their map references if you too want to fish them. I have already mentioned the Port Ellen Angling Club as a great outlet for fishing in the south of Islay and if you add to this the waters under the control of Islay Estates, Dunlossit Estate and Laggan Estate you have more than enough to cater for all your fishing needs. Visit my "Links" page to get contact information on all these Clubs and Estates. In later years since 2001 we have based ourselves in self catering accommodation in Bowmore High St run by Mr & Mrs MacDonald and this cottage has met our needs very well indeed. SInce 2017 we now stay at Loch Indaal View cottage in Bowmore which provides a bit more space. Great food after a days or nights fishing has always been found at the Ballygrant Inn, Lochside Hotel Bowmore, Bridgend Hotel, White Hart Hotel Port Ellen, Port Charlotte Hotel, Port Askaig Hotel and at the Yan's Kitchen in Port Charlotte. Again see my "Links" page for numbers and websites for those and others. In Islay we have found an Island with a great wild trout fishing pedigree but this alone is not what makes it so special. The flora and fauna has been wondrous and the awesome variety of landscape and colour simply breathtaking at times. The weather too is ever-changing but even on the wildest days we have been able to connect with the wild Islay brown trout. We have seen eagles, harriers, choughs, deer, adders, cuckoos indeed all manner of beautiful birds, plants and animals which all contribute to the fishing experience. Above all we have met so many wonderful Illeachs and made lifetime friends. 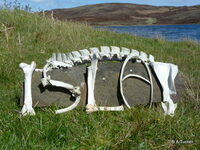 To my mind they are what make Islay special and the warm welcome we always receive is so unique and worth more than money can buy. 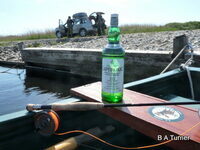 I have tried on this website to list the lochs, flies and contacts to help you plan and enjoy a great fishing experience on the Isle of Islay. It is worth noting the ebb and flow of how each loch fishes year on year and I would recommend that you seek out the wise council of people in Islay Estates, Dunlossit Estate and the guys from Port Ellen Angling Club at the time of your visit. Their advice will be invaluable. We will continue to hold our annual pilgrimage to Islay (and Jura) to fish, catch up with friends, try new whiskies, view the wildlife and landscapes and add to existing memories which will last a lifetime. My Islay pictures are in Bruce Sandison's book. 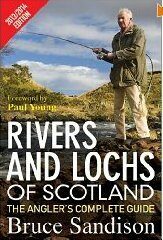 A must for all who fish the Lochs of Scotland. Also featured in Timothy Venning's book "Lord of the Isles" my Loch Finlaggan photo.Such a magical place. I recommend both books to you. Map, Webcam and Weather - just click on the trout! 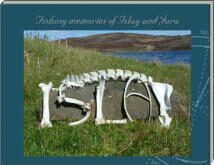 Coffee table book of Islay memories. We went out to the far west of Jura above Loch Tarbert. What a fantastic day we had with Craig from Ruantallain Estate.